TCM-12 is a ARM Cortex-based, Soft-PID controller that provides up to 12 independent control loops with band-band control (on-off control) and classical PID control algorithm. 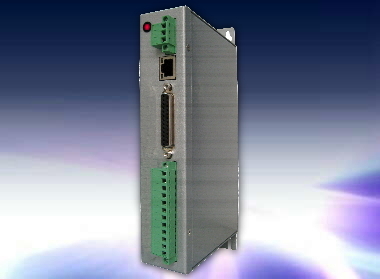 It features 12 channels temperature measurement for various types of thermocouple input and provides PWM or band-band heating controls output in an Ethernet network with Modus/TCP protocol at LAN, intranet or Internet. The module also provides 8 additional channels of digital outputs or PWM outputs for Fan or Water cooling control options. The twelve individual input channel is first filtered by a 4th order low-pass filter to reject high frequency common mode noise, then multiplexed by selecting one of the twelve isolated, Photo-MOS contacts. The selected channel signal goes through an instrumentation amplifier having over 120dB common mode rejection ratio with a 10HZ low pass filter in front of the differential ends to assure right signal be amplified. The core A/D has 15.5 bits resolution with build-in configurable digital filter. On the board, there are also broken wire detection circuits for both thermocouple input and heaters. This unique, field proven design makes the TCM-12 featured with a lower cost, multi-channel temperature measurement and controls solution to industrial process controls and monitoring.